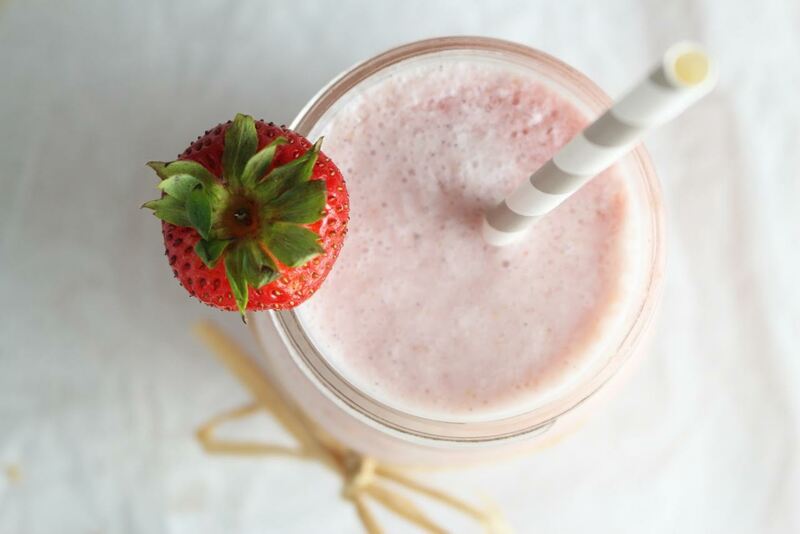 In a blender combine all ingredients, until smooth and silky. Then cover mixture with saran wrap, pressing into the mixture, to eliminate any pockets of air. Chill for one hour, then remove saran wrap and add mixture to ice cream maker. Follow directions on ice cream maker. Normally I have to churn the ice cream for 20 minutes, but this mixture finished sooner at about 18 minutes. The saturated fat caused it to solidify quickly. Then store in a freezer container, and again cover with saran wrap, eliminating any air pockets. Freeze overnight. When ready to serve, defrost tub for half an hour. 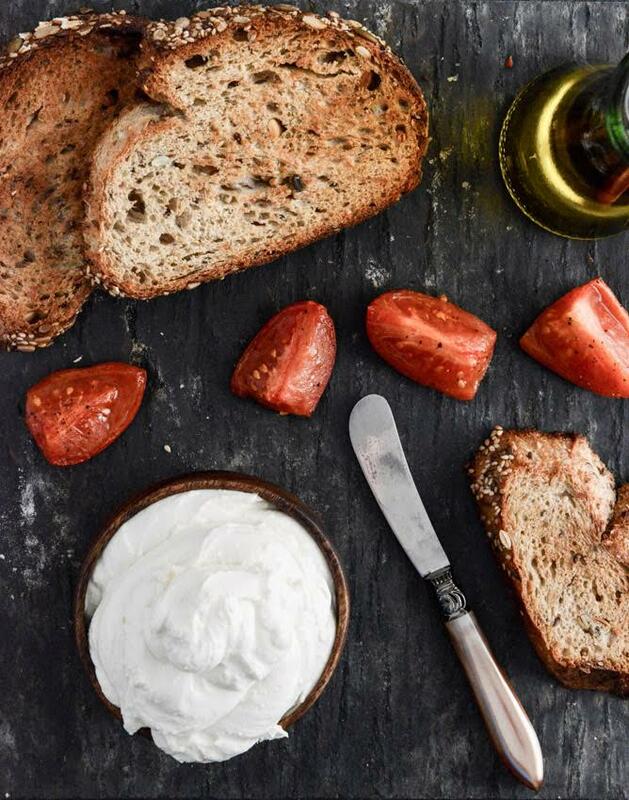 If you tried the recipe, tell us what you think! Allowed formats: jpeg, gif, png, jpg. Limited to 5 attachments. Maximum size is 5MB. No reviews with specified criteria. This deliciously healthy smoothie is made with blueberries, walnuts, almond milk, and chia seeds, guaranteeing a nutritional boost to your day. Once school goes back into session, the next thing in store is usually shared colds and sneezes. During the start to flu season it’s a good idea to increase your intake of antioxidants to help out the immune system. 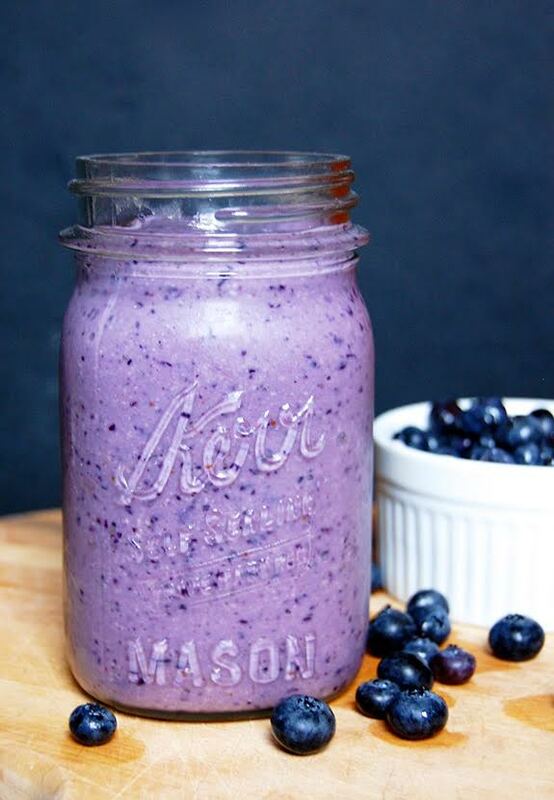 Blueberries have some of the highest amounts of antioxidants found in any food, and hence this smoothie. It’s a breakfast that both kids and adults can enjoy before rushing out the door in during a busy morning. 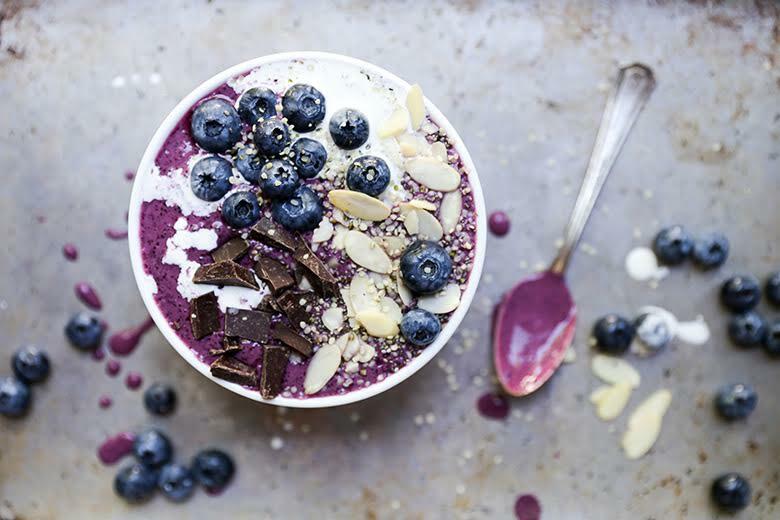 The inspiration for this blueberry explosion of a smoothie bowl started with a blogging retreat to Minneapolis, Minnesota. And it ended in between the seemingly endless rows of blueberry bushes at Turkey Hill Farm in Haverhill, Massachusetts. 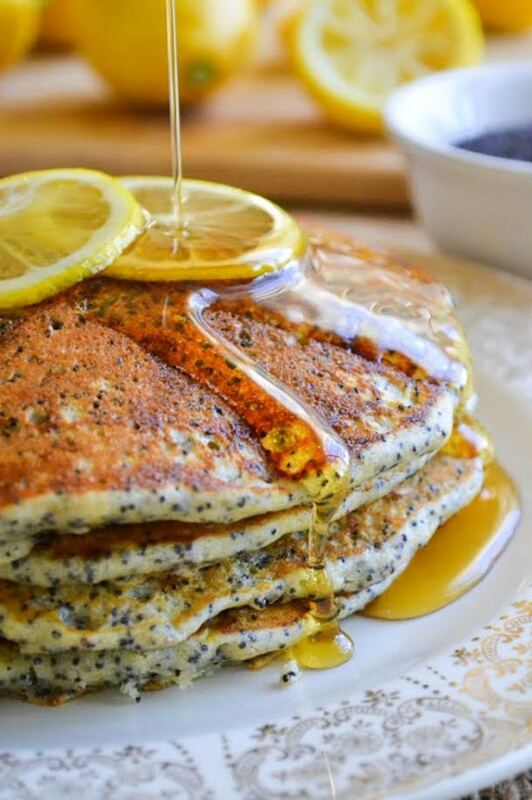 So many lemon recipes suffer from the wimp factor. They add a tablespoon of lemon juice or the zest of one lemon and then have the nerve to call themselves a lemon this or a lemon that. It’s criminal. 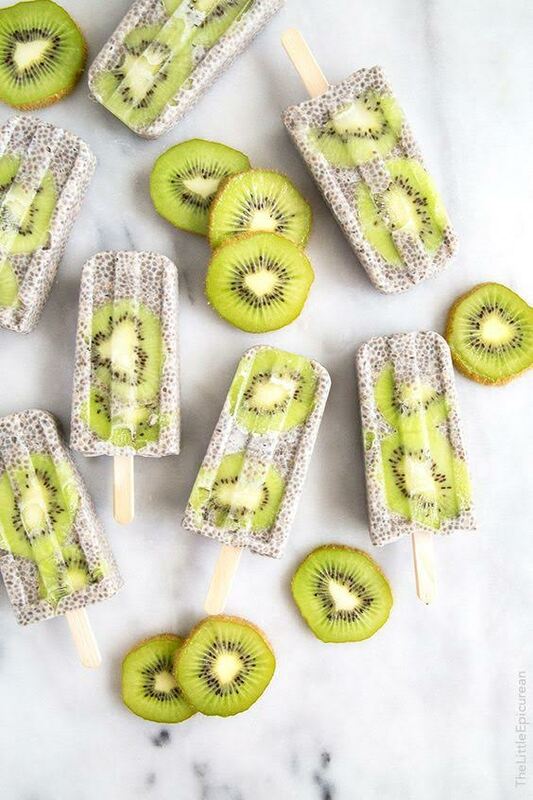 I didn’t plan on sharing the recipe for these kiwi coconut chia popsicles. I posted a photo of it on Instagram on St. Patrick’s day simply because I wanted to share something green. People went crazy for the photo! (Well, crazy for my standards. I haven’t hit anything close to viral. I’m working on it…) People loved it, and when asked for the recipe, of course I had to deliver. 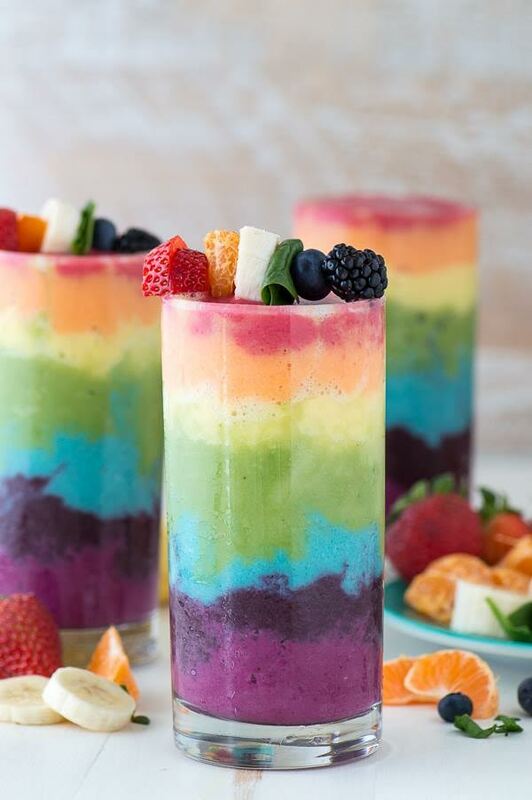 Beautiful 7 layer rainbow smoothie recipe! Full of tons of fruit and topped with a fruit skewer, it’s the ultimate rainbow smoothie! 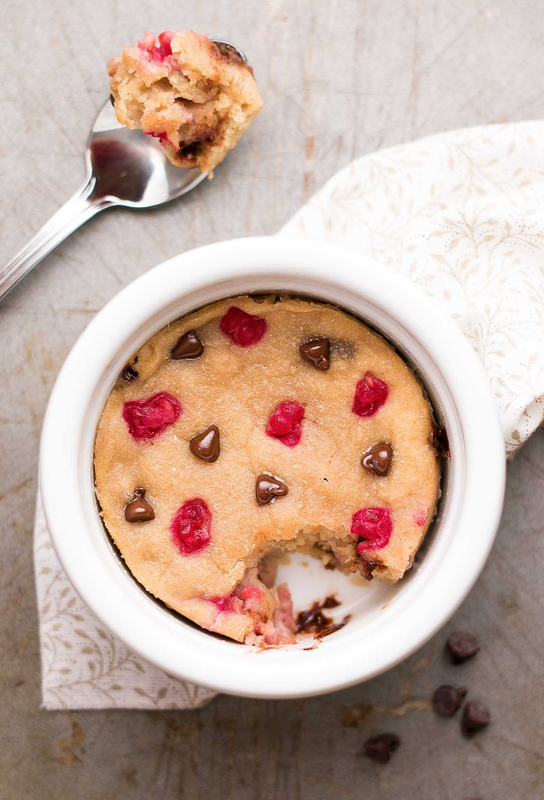 I satisfy my cake craving by making this Skinny Single-Serving Raspberry Chocolate Chip Mug Cake back at home. It has two of my favorite components from those bakery’s cakes—fresh berries and lots of decadent chocolate—but unlike their desserts, this healthy one is perfectly portioned and contains no oil, eggs, refined flour, or sugar. I once heard someone say a panna cotta is nothing more than a blancmange with a fancy accent. It made me laugh. Personally, I try not to hate on food things until I’ve tried to make them at least a few times—and even as a chef there are certain things I’ve only made a few times. Panna cotta, however, isn't one of them. I've probably made thousands over the years, and the humble panna cotta—or blancmange with a fancy accent—still always makes me smile when I have my first taste. 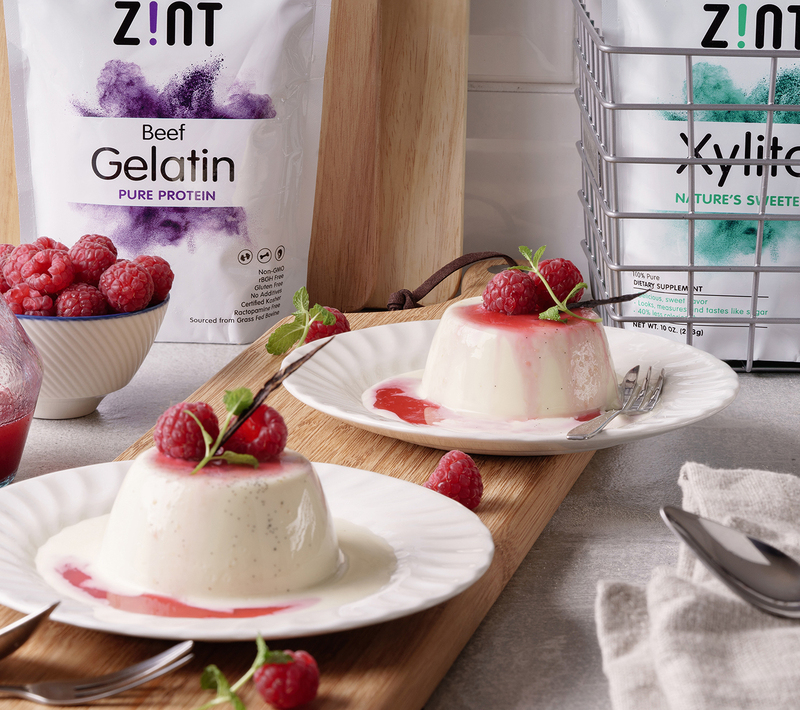 For this vanilla and raspberry panna cotta, we’re using two Zint products: gelatin and xylitol. 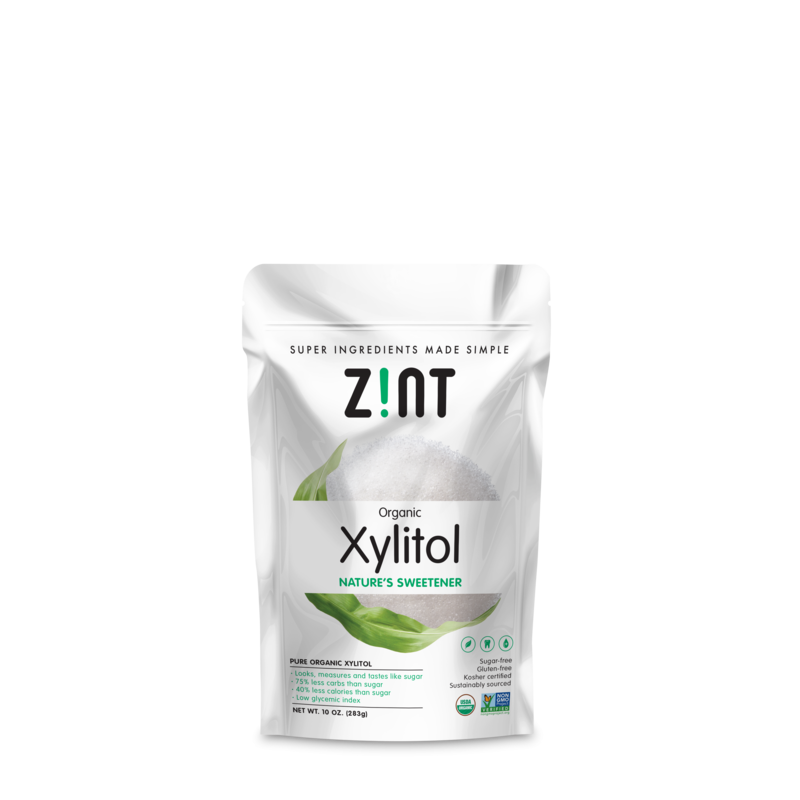 The fresh vanilla pod and seeds give it extra flavor without having to use too much sweetener. 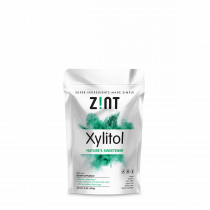 15% OFF on your next order!